Want a craft kids get excited about? One they take home and show everyone? One they take to school and show everyone? This is a good one for that. It’s more than a craft…. it’s a game. When telling the Parable of the Lost Sheep kids have fun making sheep. Then, they hide them under one of the cups, mix the cups up and let someone else guess which one its under. First, cut out a sheep face with ears from black felt. I used regular felt and glued later, but I included a link here for the sticky back felt that may be even better. Second, glue the wiggle eyes onto the sheep’s face. Finally, set out your set of three cups and hide the sheep under one. 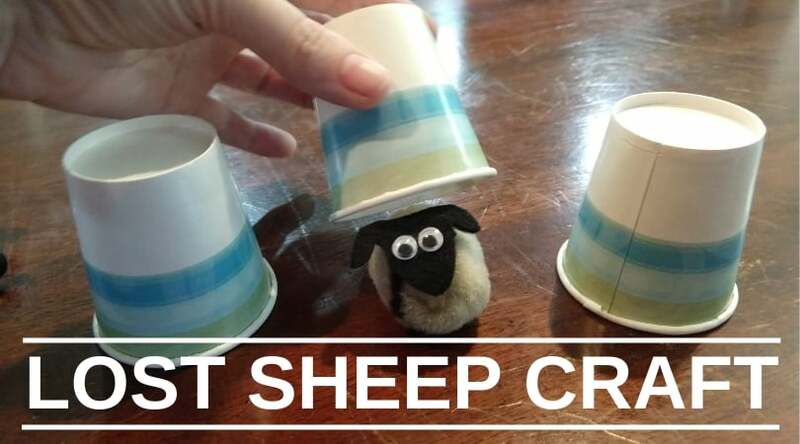 Mix the cups around and see if someone watching can find the sheep. Not ready to make it yet? Just Pin It in Pinterest and you will be ready to go whenever you are ready!